Another rendition of the Clipper ’17 for Gleyber Torres, and this time its the Independence Day variety. 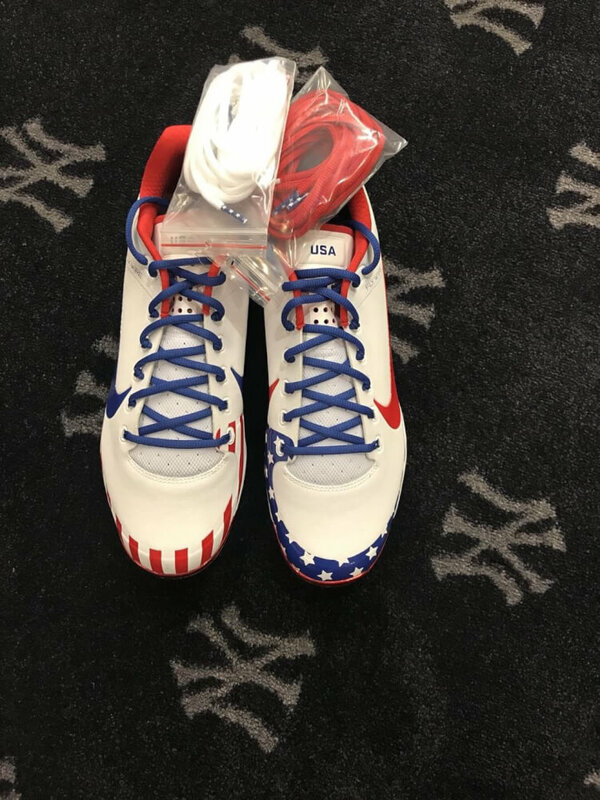 These cleats, as you can see, are designed to compliment each other in honor of the American flag. 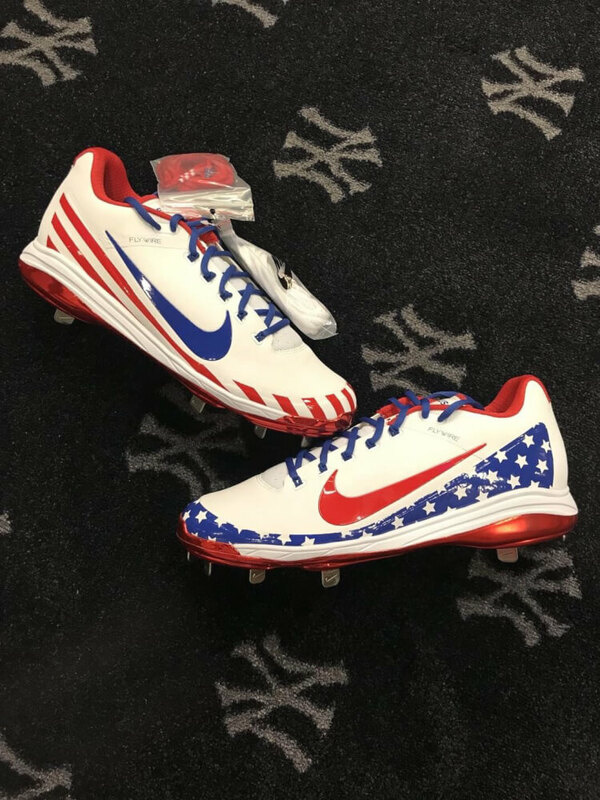 With his remarkable performance to date, Gleyber is working his way into some SMU cleats (special make-up) with Nike. These aren’t available on the web, but we built a ‘murica-worthy colorway of the Clipper ’17 cleats at the link. Categories: Gleyber Torres, Gear, Cleats, New York Yankees, Second Base.